Come along with P.C. Nelson as he leads you on a journey into God’s Word to discover 16 timeless Pentecostal truths. Nelson’s down-to-earth, conversational tone takes you step-by-step through Scripture to carefully and logically explain what Pentecostals believe and why. Doctrines include the Scriptures inspired, the one true God, the deity of Christ, the fall of man, salvation, the Church, the Holy Spirit, sanctification, divine healing, and more. Peter Christopher Nelson came to know Christ at age 11. After many years as a Baptist minister, Nelson was baptized in the Holy Spirit. His solid belief in the authority of God’s Word, along with this experience, led him to embrace Pentecostalism. 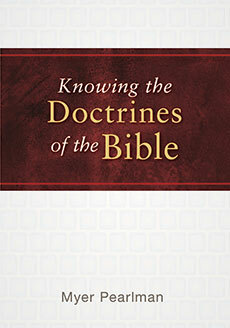 He wrote Bible Doctrines to provide a simple explanation of Pentecostal beliefs as they are reflected in Scripture. Destined to become a classic Pentecostal theological text, Bible Doctrines has been translated into many languages and is now in its eighth English-language edition.